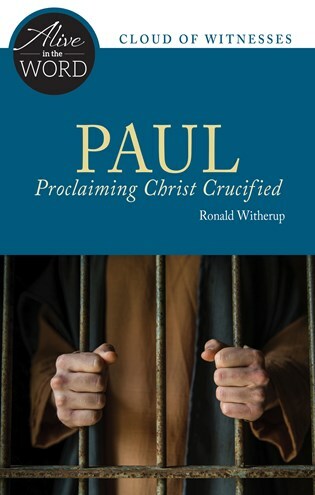 Paul discovered his core identity in the crucified and resurrected Christ and spent his final years proclaiming the power of the cross. Explore three key passages from his letters that invite us to embrace the redemptive power of the cross in our lives. Ronald D. Witherup, PSS, is superior general of the Sulpicians, an order of diocesan priests dedicated to initial and ongoing formation of priests. He holds a doctorate in biblical studies and is the author of numerous books and articles on Scripture, including The Word of God at Vatican II: Exploring Dei Verbum, Gold Tested in Fire: A New Pentecost for the Catholic Priesthood, and Biblical Fundamentalism, What Every Catholic Should Know, published by Liturgical Press. He is also a contributor to Give Us This Day, published by Liturgical Press. Richly illustrated and equipped with reflection questions, it is ideal for either personal use or as a resource for Bible study groups.